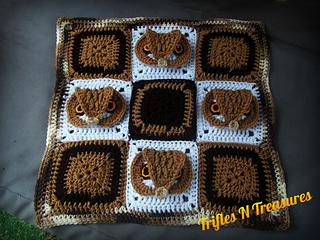 Amazingly gorgeous blanket pattern is fully customizable to any size! Instructions included for both the 6” owl square, and the 6” plain square, for contrast. Simple assembly and border instructions also included!